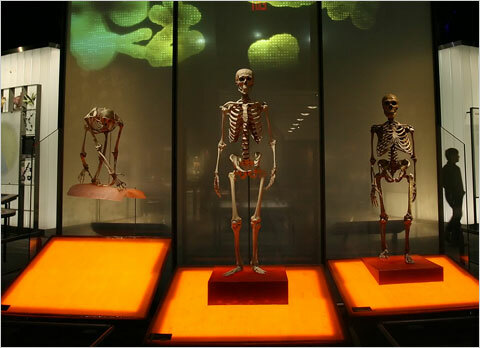 Skeletons, from left to right, of a chimpanzee, a modern human and a Neanderthal at the American Museum of Natural History in New York. Image Source: NYT. Never let it be said that modern science and technology possess the capacity for resolving the moral quandaries they create! There is no doubt that if cloned Neanderthals were miraculously revived post-extinction, Millennial humans' most brutal and savage impulses would appear, and initiate a great overhaul of world societies. After all, the way in which Neanderthals became extinct is a mystery; but it could have to do with competition with modern humans. We would restart an ancient conflict. There is also a question of whether extinction is somehow bound up with a fateful destiny in evolutionary terms. Did Neanderthals become extinct because the conditions to which they were best suited gradually disappeared? Certainly, with the return of the Neanderthal, there would be few qualms about reviving the institution of slavery. We have learned little from the history of slavery and its abolition. Modern trends confirm this: in the United States alone, there are today between 14,000 and 18,000 slaves annually entering the country. Despite the likely resort to slavery in the possible case of widespread cloning of Neanderthals, there would also be star-crossed love affairs and interspecies offspring. And given Neanderthals' possibly superior cranial capacity, there would be slave rebellions. I discussed other potential implications of cloned Neanderthals here. How Human Would a Cloned Neanderthal Be? 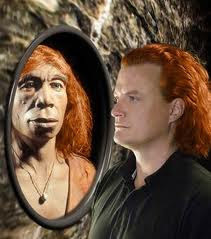 Cloning Neanderthals? Is This a Good Idea? No, their existence in a modern world would be untenable. Yes, we owe it to them since we killed them. No, because they might kill us. Yes, it would be an interesting experiment. I have mixed feelings and can’t decide. "In northern Spain 49,000 years ago, 11 Neanderthals were murdered. Their tooth enamel shows that each of them had gone through several periods of severe starvation, a condition their assailants probably shared. Cut marks on the bones indicate the people were butchered with stone tools. About 700 feet inside El Sidrön cave, a research team including Lalueza-Fox excavated 1,700 bones from that cannibalistic feast. Much of what is known about Neanderthal genetics comes from those 11 individuals." One can really see the H.P. Lovecraft plot mimicked by reality here: rebuilding a neanderthal using the DNA of known cannibals. Thanks for the link, Anon. Would it not be reconstruction from DNA of known victims of cannibals? I agree that it is very weird and cloning a being who lived naturally under such circumstances would spell disaster in our times.